Interested in probate or estate services? One of Michael Camporeale's primary areas of practice is that of a Manhattan, Brooklyn and Staten Island Elder Law Attorney. The Law Office of Michael Camporeale, P.C. As seen on TV. Press play to start. The Law Office of Michael Camporeale, P.C., is a general practice firm serving the Manhattan, NYC, New York area. We specialize in medicaid planning, asset protection from nursing homes wills, living trusts, estates, personal injury, medical malpractice, elder abuse, bed sores cases, nursing home accidents, real estate and employment discrimination. Our firm represents matters throughout the entire New York metropolitan area for both individuals and businesses. We are committed to helping people resolve their elder law and estate planning issues, protecting everything they have worked so hard for over a lifetime. We handle sensitive issues such as estate planning, estate tax and elder law matters. We advise our clients about financial matters, such as estate tax and capital gains avoidance. 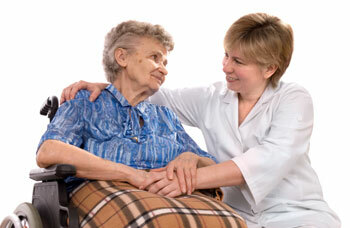 We are a law firm that has vast experience in elder law. Our attorneys practice elder care law, personal injury, probate law and general law. We are lawyers dedicated to providing Brooklyn seniors and their families with the finest representation available. Proper understanding of the law allows seniors to make the right decisions when it comes to estate planning, finances, and health care issues. The legal issues facing seniors are unique and we encourage a free consultation with seniors and their children. It’s a great way for us to take time to get to know our clients. This allows us the opportunity to understand your issues and let you know how we can help. Estate law can be daunting. The Camporeale Law Firm is comprised of experienced estate lawyers covering Brooklyn NY. We can represent you in Elder Care. Whether you refer to us as Brooklyn Lawyers or Elder Care attorneys, the Law Office of Michael Camporeale is the right choice. Find us under Estate Lawyers NY, Elder Lawyer, Brooklyn Elder Care and Brooklyn Elder Care Attorneys. © 2013 THE LAW OFFICE OF MICHAEL CAMPOREALE, P.C.